Ariana missed an Olympic opportunity in 2008 when she finished third during trials, but this year she made her first Olympic appearance in London. 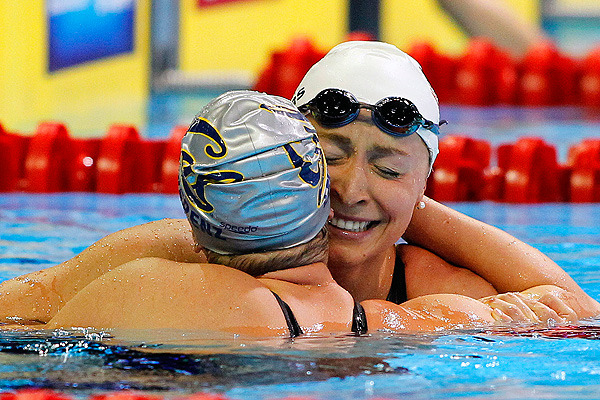 Ariana is the world record holder in the 200 IM (time of 2:06.15, set in 2009, Rome). Jaapje has raised three daughters, all who were college swimmers. "It's always been a sisters thing," said Jaapje, "You mess with one of them, you mess with all of them. That's just the way it's been." Lynden wishes Ariana and her family the best of luck at the Olympics games in London. To read more on Ariana Kukors and her family please follow the links below. "Auburn's Kukors reaches 200 IM final at London Games"
"Ariana Kukors earns spot in London Olympics in 200 individual medley"
"With Family by her side, Kukor wins"
"Catching up with Ariana Kukors after winning Olympic berth"
With the 2010 Winter Olympics beginning in just a few days, the world is focused on Vancouver and Whistler, B.C.. Lynden International played a part in the preparations by helping a customer refurbish a hotel in Whistler Village, just steps away from where the Olympic action will take place. Lynden handled the international shipments of furniture from a factory in Malaysia and stored the pieces in a Vancouver warehouse until the hotel needed them. When they got the word, our staff loaded up trucks and moved the cargo three hours up a winding mountain road to the hotel. 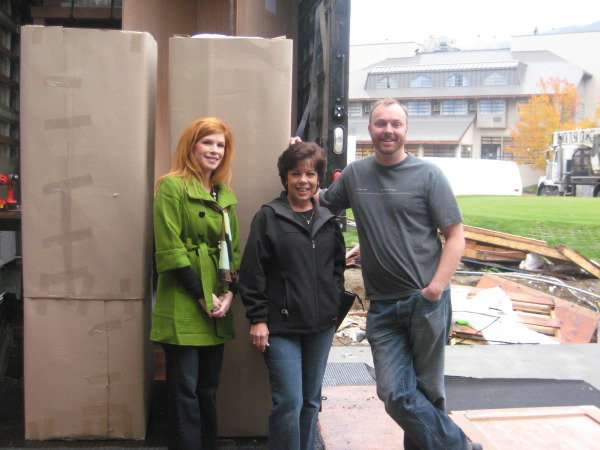 Almost 2,000 pieces were shipped, stored, transported, unpacked and assembled by Lynden for the hotel's grand opening in late November and for the crowds of Olympic visitors expected this winter. Mounting mirrors and assembling beds is not the norm for Lynden, but it's all part of our "White Glove" delivery service. Lynden was happy to help, and Aava Whistler Hotel was grateful to work with one company instead of multiple contractors and suppliers. The hotel's grand opening went off without a hitch and the staff is now ready and waiting for the games to begin!